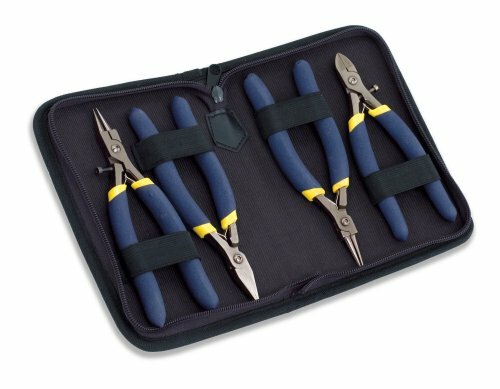 Get all four quality Beadstrom tools packaged in the handy Zip Storage Pouch. The Kit comes complete with Beadstrom Chain Nose Pliers, Round Nose Pliers, Flat Nose Pliers, Semi-Flush Cutters, and the Allen Wrench to keep them all performing in top condition. The Zip Pouch makes travel and staying organized easy.